Diabetes is a dangerous disease and it’s occurs in our body due to lack of secretion of insulin by the pancreatic. Insulin hormone is works to manage the glucose (sugar) level in blood. This causes the blood glucose level rises and the blood cholesterol and fat content in patient body become abnormal. Because of it is a glucose level disorder there is no cure for this disease. But if you can control sugar level in blood then you may be able to live a normal and healthy life. 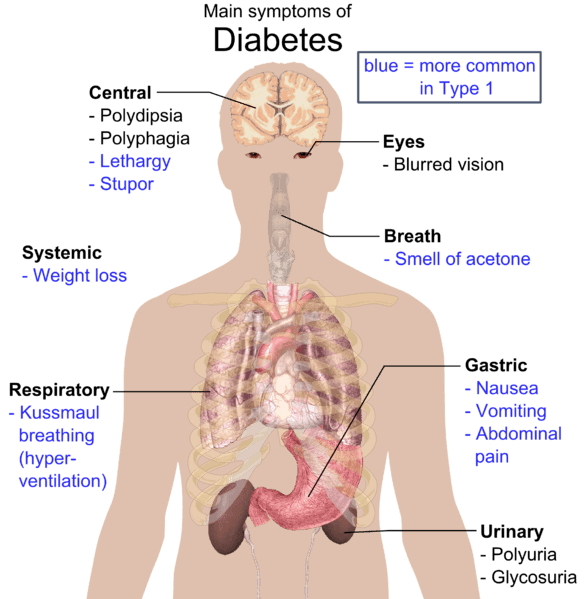 Hare we are discuss about 10 causes and 12 treatments for diabetes (both types). Sudden weight loss without any reason. Lack of concentration on any object. Bruises, cuts and sores will takes long time to heal. Sometimes numbness of the organs. Eye-vision (eyesight) becomes blurry and reduces. Diabetes is very dangerous disease and it may a cause to heart diseases (cardiovascular diseases), retinopathy, kidney disease and blindness. Now, we will discuss about causes of diabetes further in briefly. Loss of the insulin-producing Beta cells in body. Lack or absence of insulin hormone. Viral infection or diet is also may be a cause. It may be a genetic disease. Excessive intake of sugar-sweetened drinks and sweets. Excessive intake of white rice. Lacks of exercises and yoga. And excessive consumption of alcohol. Fenugreek is a great herb that is used to control diabetes, improve glucose and blood sugar levels. Soak 10 grams of fenugreek seeds in water overnight. Next morning, drink the water along with the seeds with an empty stomach. Use this remedy regularly for a few months to bring down your sugar (glucose) level. This is effective vegetable because it can be useful to controlling the blood sugar level and maintain the glucose tolerances in the body. The bitter gourd is very effective for both types of diabetes (Type-1 & Type-2). Drink juice of bitter gourd daily early in the morning with empty stomach. Also, use the powder of bitter gourd with water twice in a day. It is also known as Amla. This is a rich source of vitamin C and very useful to controlling the glucose level or diabetes. Because it is useful to cure every disease or we can say that amla is the treatment for all disease. Drink juice of Indian gooseberry daily in the morning with empty stomach. [Amla Juice (2-3 teaspoons) + A glass of water]. Or you can use both juice (Bitter gourd juice + Amla Juice) equally and mix well, then drink it. Also known as Indian bay leaf, tejpat, Malabar leaf, Indian bark, Indian cassia or malabathrum. Generally bay leaves were used for flavoring the foods. They are flavoring the soups, vegetables, garam masala and sauces. They are antioxidant and antibacterial and very useful to controlling the blood sugar level. Bay leaves are effective to reduce the glucose into the blood and it helps the body process for insulin more efficiently, which reduces blood sugar levels. Cinnamon is very useful herb to controlling and reducing the blood sugar level. Use a teaspoon cinnamon powder with a cup of lukewarm water. You can also be used as a pinch of powder with lukewarm water. Use it regularly or daily. It is the best option to treat the diabetes, because the fruits of jambul, keeps the ability to purify and cleanse the blood. Fruits of jambul are seasonal but the powder of seeds is available in market, so you can buy or make at home. Leaves, berries (fruits of jambul) and seeds of jambul are very useful to balancing the sugar levels in blood; it has to be a boon for those are suffered from diabetes. All things (leaves, fruits, seeds, and juice of leaves) of this most useful tree, are helpful in the treatment and control of diabetes. Take a teaspoon powder of seeds with water twice in a day. Drink juice of jambul leaves, it’s very beneficial. Chewing leaves of jambul is useful in diabetes. The soft and pulpy leaves of mango are helpful to treat of diabetes and useful to reducing the sugar levels from blood. Take 10 to 20 soft mango leaves. Soak them in a glass of water overnight. Filter and drink it, in the next morning on an empty stomach. Raw or uncooked bananas are useful to maintain blood sugar levels. Eats raw bananas are good in diabetes. The combination of turmeric and honey are play vital role to controlling blood glucose levels and very effective in diabetes. Add half teaspoon of turmeric powder into 2 teaspoons of honey and mix well. Use (take) this mixture every day morning on an empty stomach. This treatment is effective when use it regularly for long time or at least for 5-6 months. Triphala is the best medicine ever in any disorder. Use it to get benefits. Take 3 gram of triphala powder, pure shilajit powder 1 gram. Add both the ingredients into 6 gram of honey and mix them properly. Lick it, in the morning on an empty stomach. This is also a long treatment but very effective. In Ayurveda says, about giloy that if continuously intake it for a year, then you would be get rid of all diseases and the body is fully healthy. Take six gram of giloy powder and add this into 10 grams of honey. Mix them properly and lick it. Water is a part of body, nobody lives without water. So for live fit and healthy in diabetes, you should be used 2.5 liter water every day. Avoid salty, oily, sweets, and fast foods. Avoid alcohol, drugs and quit smoking. Do not live in tense and depression, live happy and calm. Avoid butter and sweets vegetables. Use green leafy vegetables and salad as much as possible. Do exercises and yoga daily. You should go for morning walk daily at least for 3-4 km. Do meditation to keep away from stress and anxiety. Hoping, this article will useful to you. You can comments for any queries or suggestions. Very useful post sir.thanks a lot. Following 1 remedy continously is enough right? Next 10 grams of fenugreek seeds equals 1 tsp of fenugreek seeds?